Rio Grande Valley. Last updated: 6/8/2015. 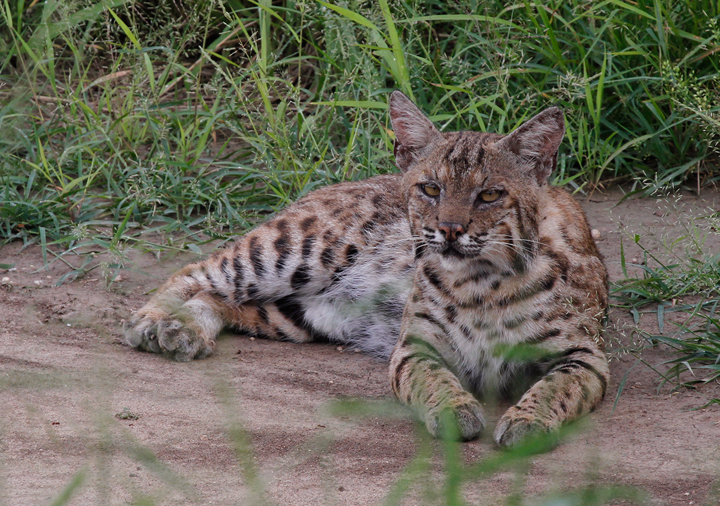 Above and below: A Bobcat in Hidalgo Co., Texas (5/30/2015). 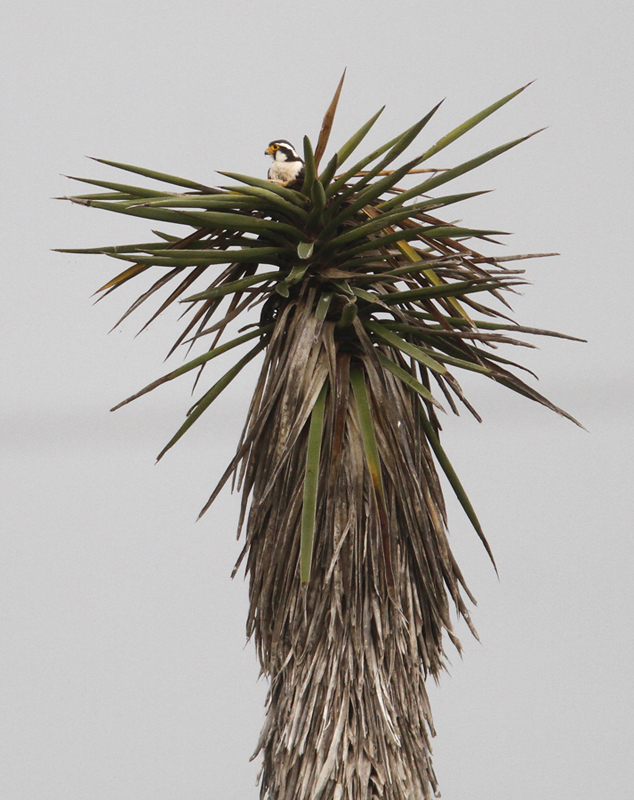 Below: An Aplomado Falcon near Brownsville, Texas (5/30/2015). 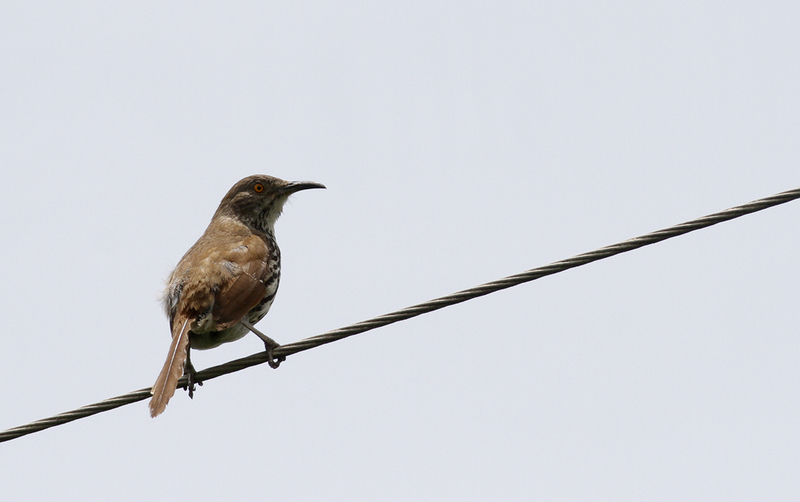 Below: A Long-billed Thrasher at Sabal Palm Sanctuary, Texas (5/30/2015). 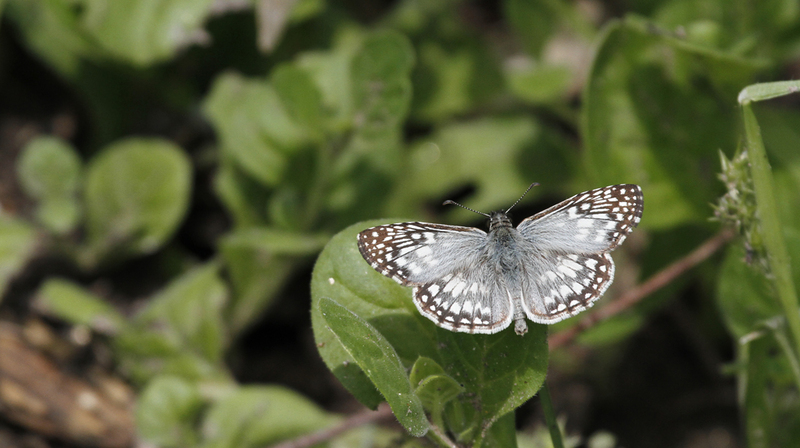 Below: A Tropical Checkered-Skipper near Brownsville, Texas (5/30/2015). 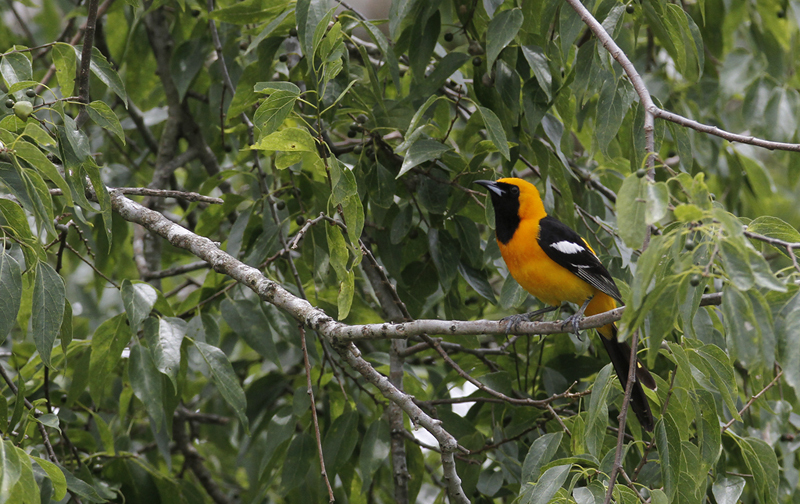 Below: A male Hooded Oriole at Sabal Palm Sanctuary, Texas (5/30/2015). 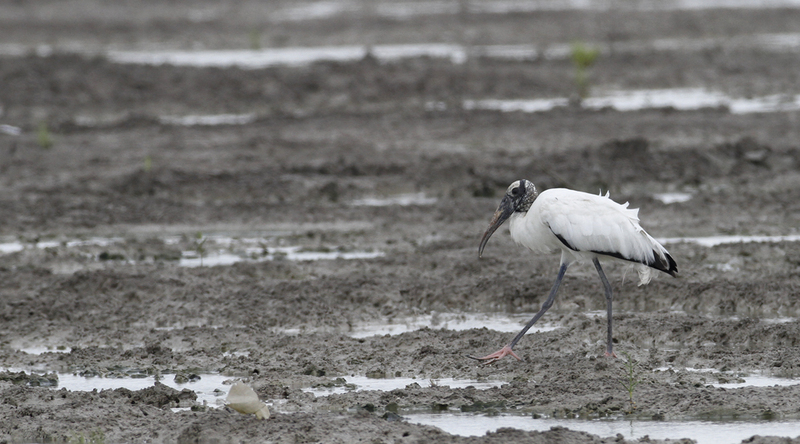 Below: A recently arrived Wood Stork in Cameron Co., Texas (5/30/2015). 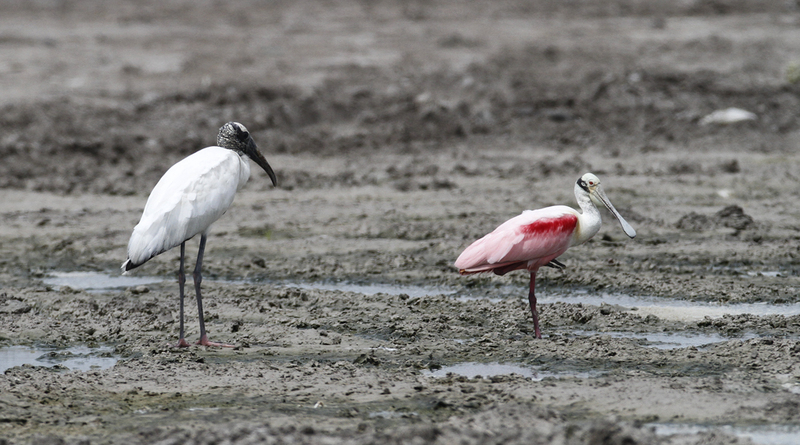 Below: A Wood Stork and a Roseate Spoonbill in Cameron Co., Texas (5/30/2015). 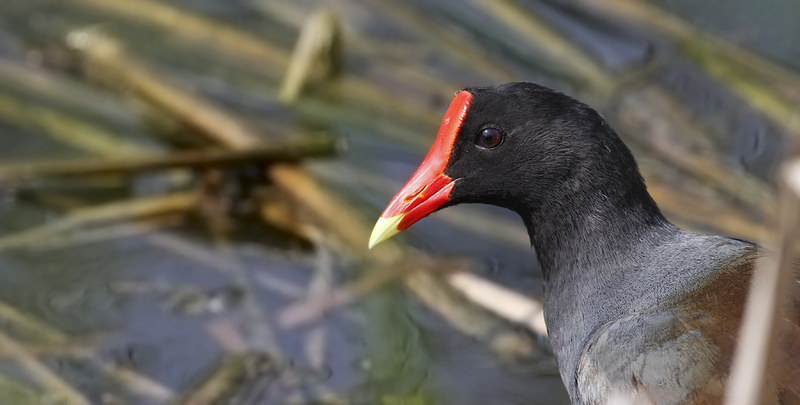 Below: A Common Gallinule on South Padre Island, Texas (5/30/2015). 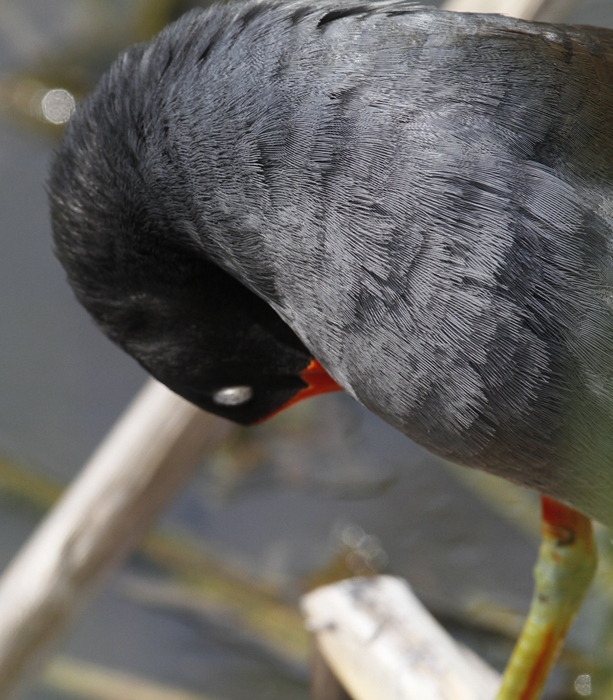 Below: Did you know Common Gallinules have white eyelids? 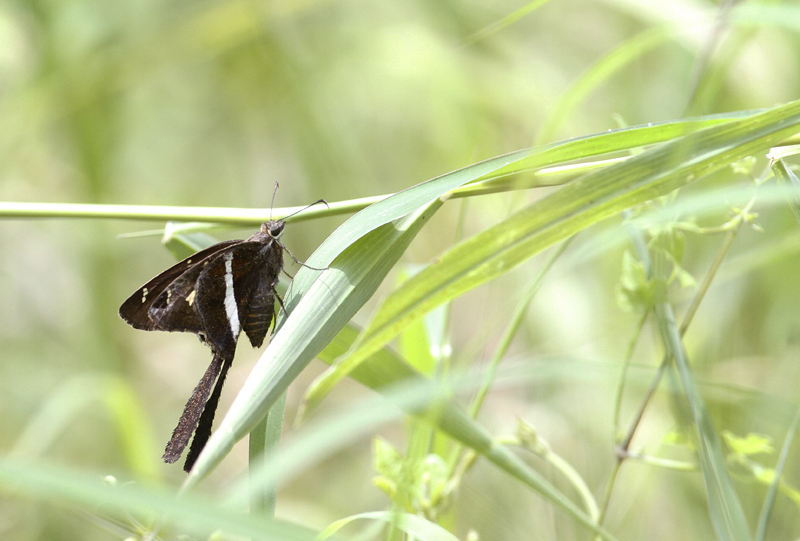 Below: A White-striped Longtail in Cameron Co., Texas (5/302/2015). 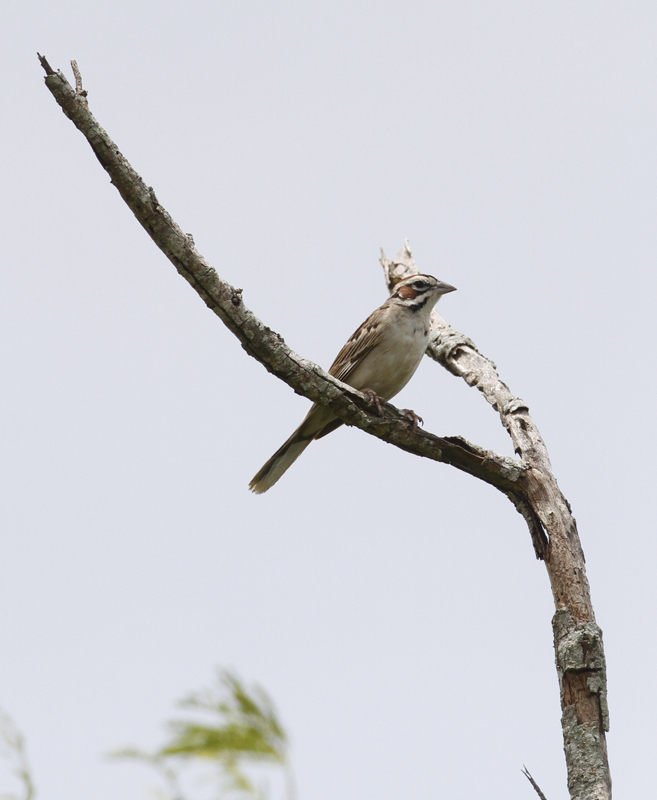 Below: A Lark Sparrow in Cameron Co., Texas (5/30/2015). 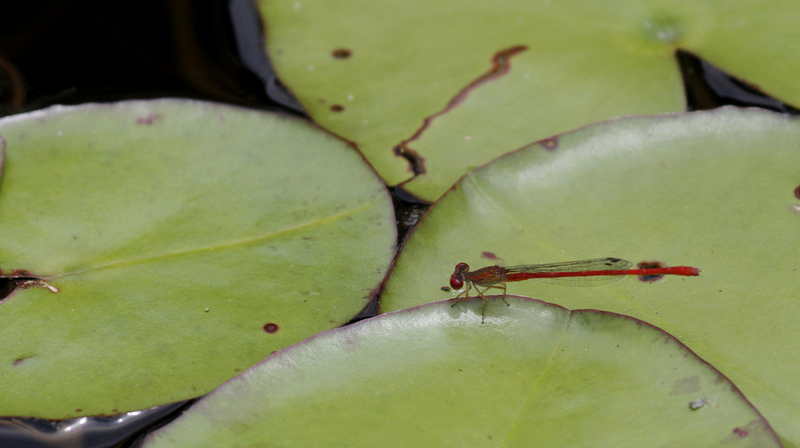 Below: A Desert Firetail in Cameron Co., Texas (5/30/2015). 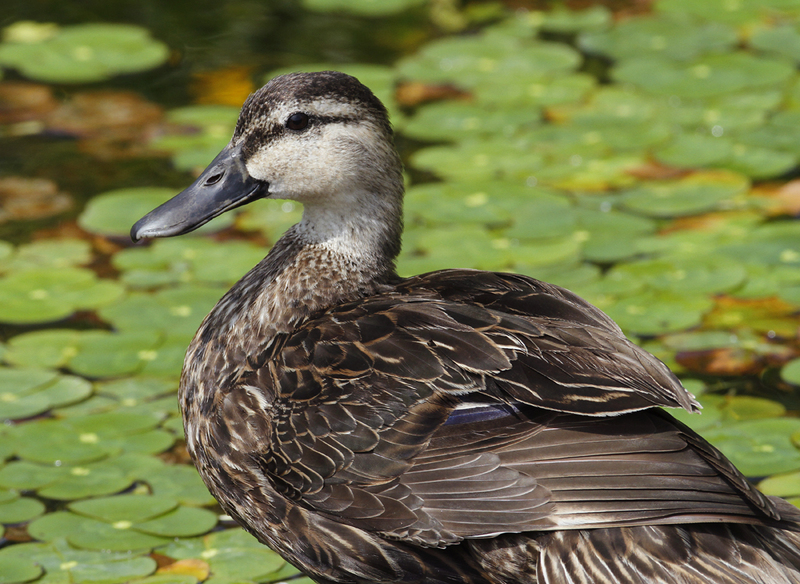 Below: A Mexican Mallard in Cameron Co., Texas (5/30/2015). 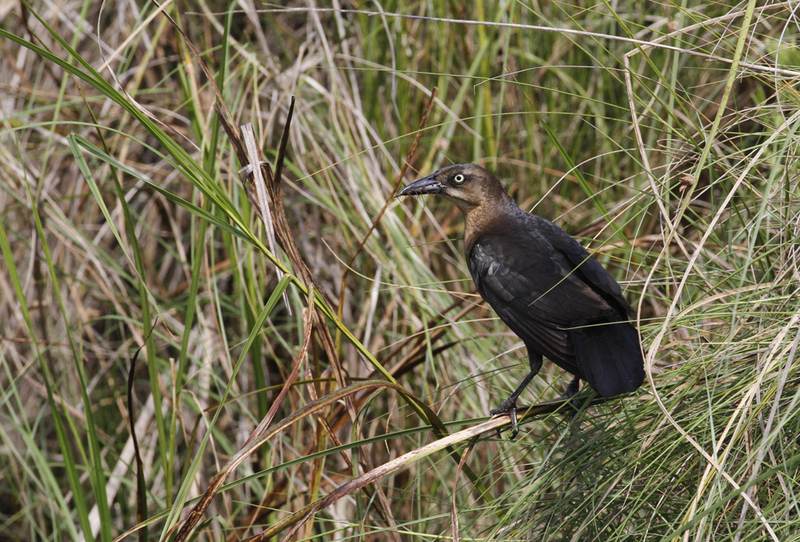 Below: A female Great-tailed Grackle in Cameron Co., Texas (5/30/2015). 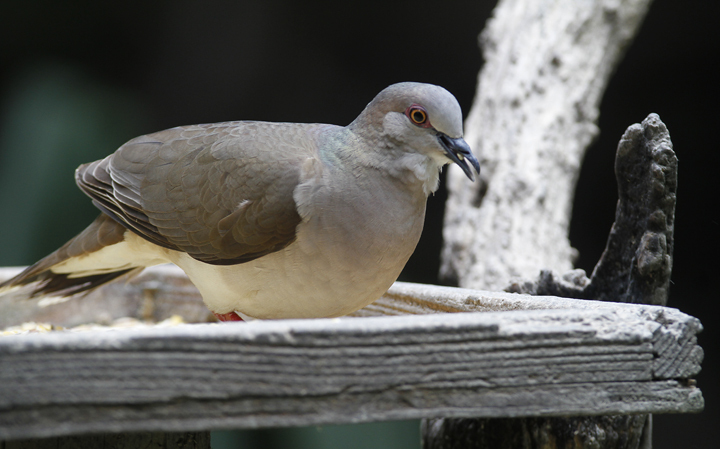 Below: A White-tipped Dove at Sabal Palm Sanctuary, Texas (5/30/2015). 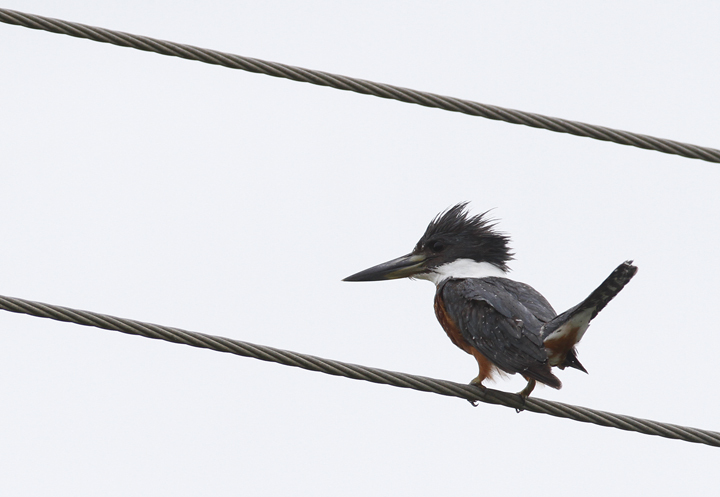 Below: A Ringed Kingfisher in Cameron Co., Texas (5/31/2015). 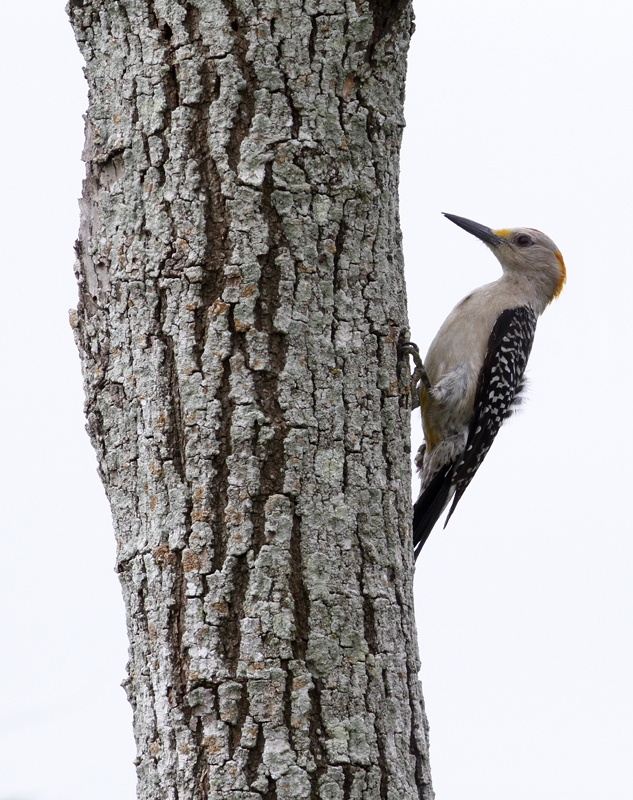 Below: A Golden-fronted Woodpecker in Hidalgo Co., Texas (5/31/2015). Below: A Zebra Heliconian in Hidalgo Co., Texas (5/31/2015). 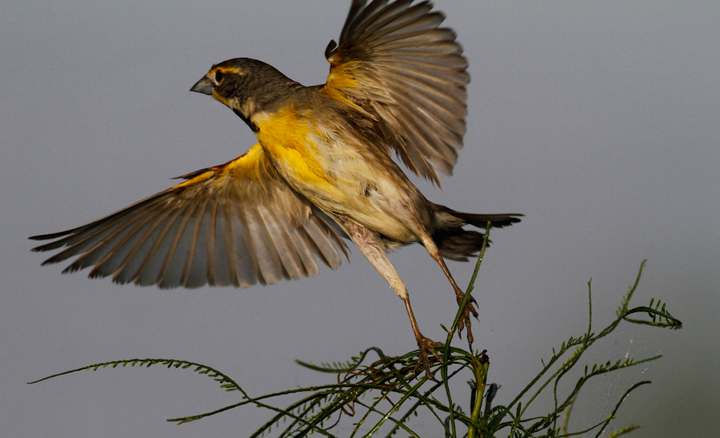 Below: A Dickcissel in Hidalgo Co., Texas (5/31/2015). 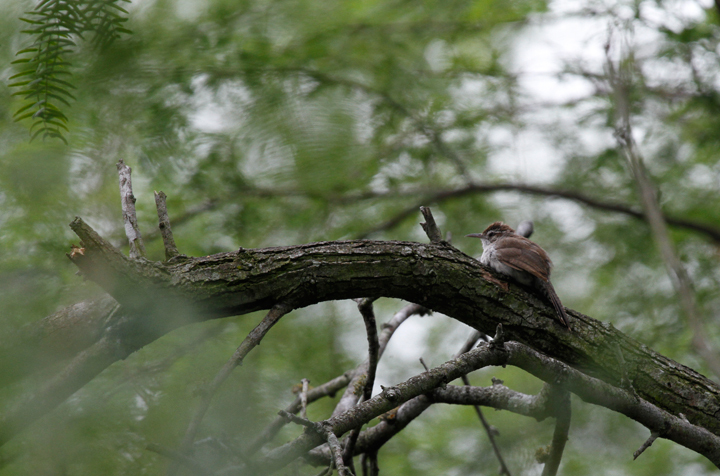 Below: A Bewick's Wren in Cameron Co., Texas (5/31/2015). 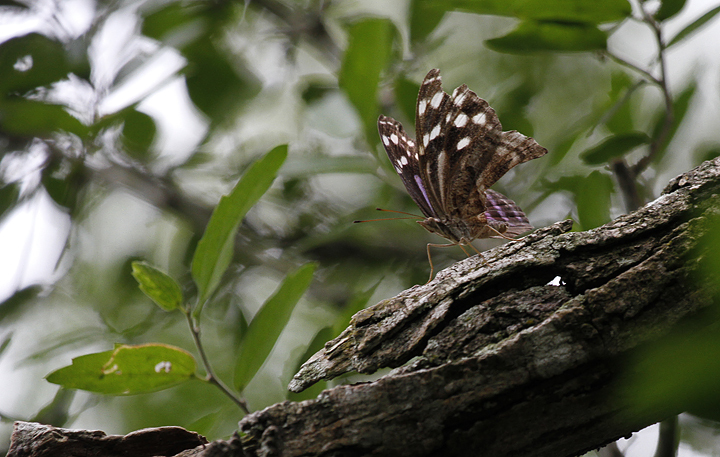 Below: A worn Mexican Bluewing in Hidalgo Co., Texas (5/31/2015). 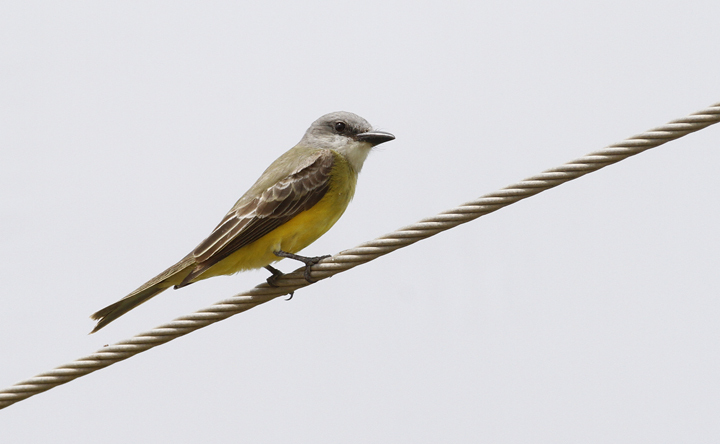 Below: A Tropical Kingbird in Hidalgo Co., Texas (5/31/2015). 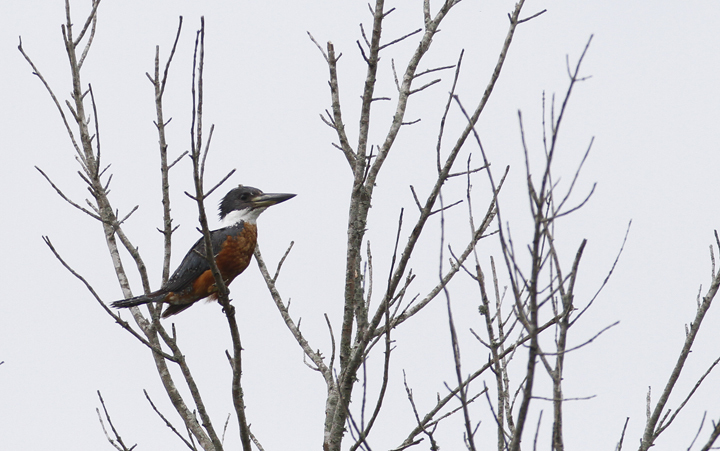 This species has become much more common and widespread in the Valley since my initial visits. 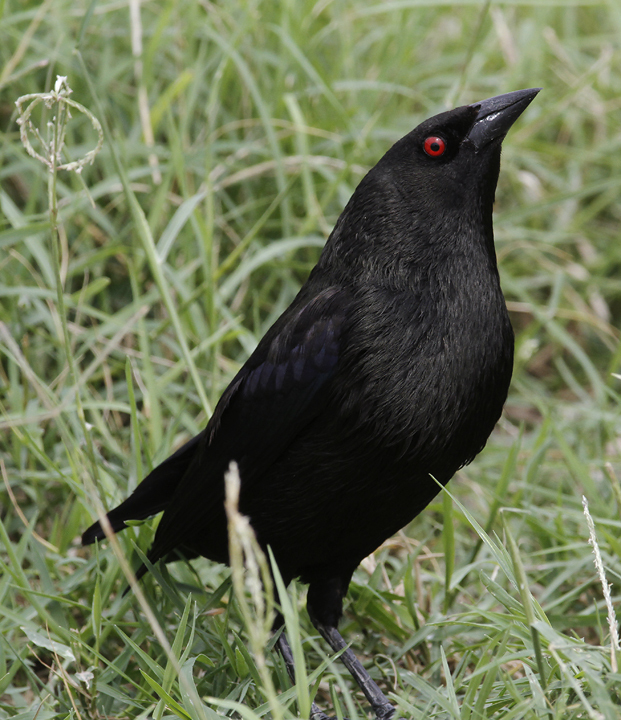 Below: A male Bronzed Cowbird in Hidalgo Co., Texas (5/31/2015). 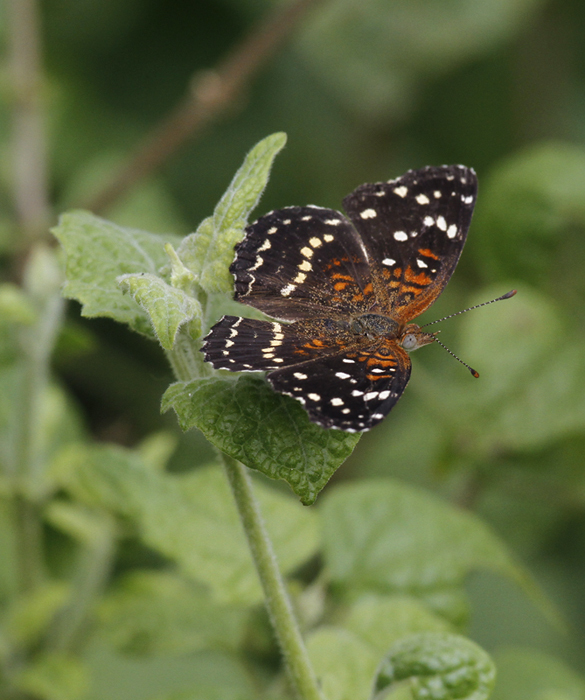 Below: A Texan Crescent in Hidalgo Co., Texas (5/31/2015). 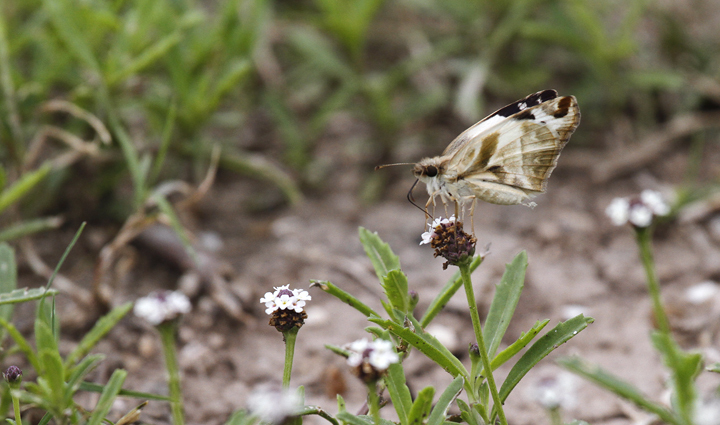 Below: A Laviana White-Skipper in Hidalgo Co., Texas (5/31/2015). 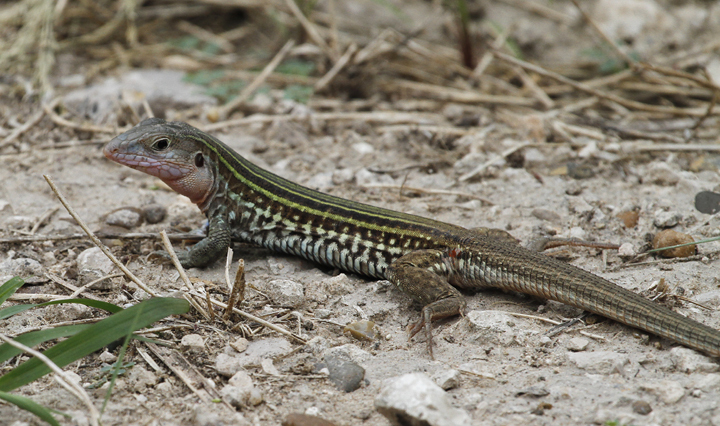 Below: A Texas Spotted Whiptail in Hidalgo Co., Texas (5/31/2015). 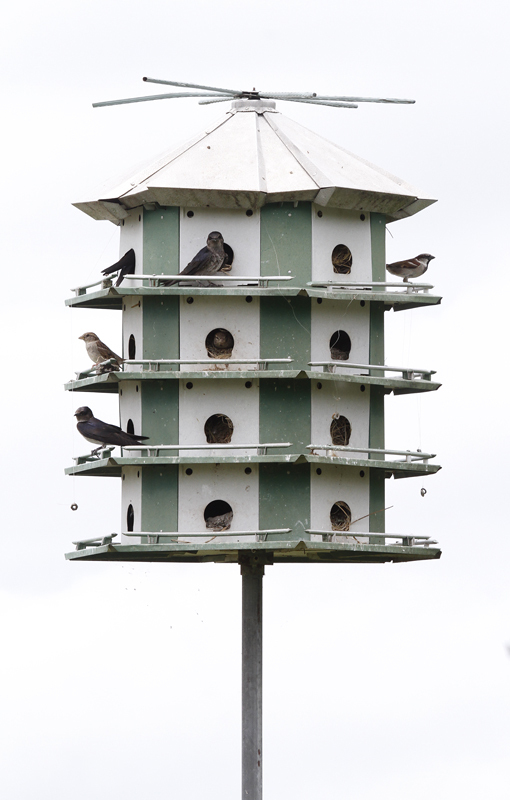 Below: Uncommon neighbors--Purple Martins sharing a martin house with House Sparrows at Estero Llano Grande State Park, Texas (5/31/2015). 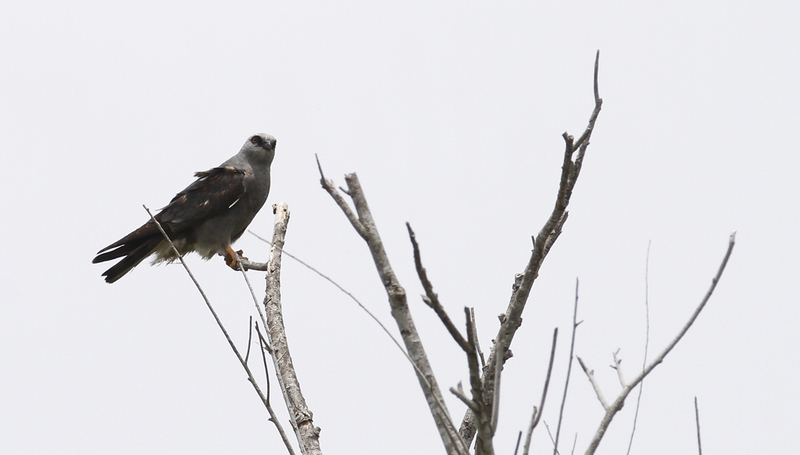 Below: A lingering Mississippi Kite in Cameron Co., Texas (5/30/2015). 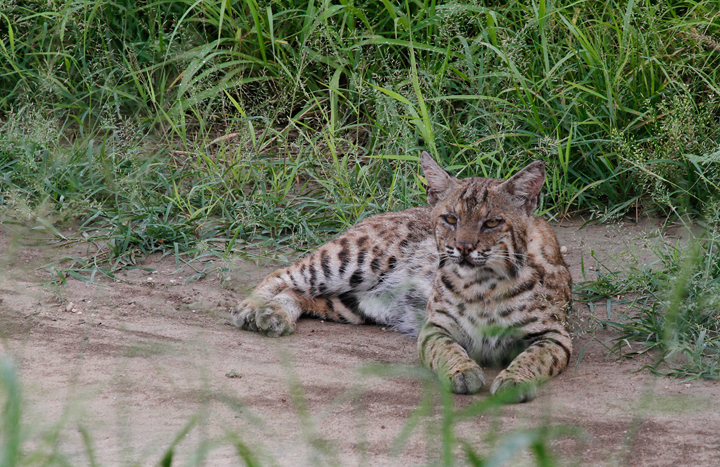 Below: OK, seriously, guys... it's hot. 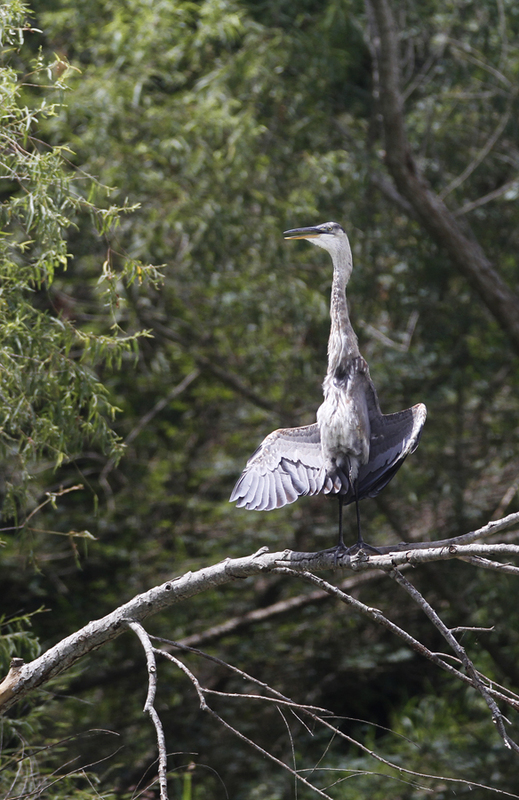 Great Blue Heron in Cameron Co., Texas (5/30/2015).